I got the idea to start my own indoor growing operation while visiting a friends setup with my wife a couple of years ago. He wasn’t looking to make a business out of it – he was just growing a few things for his family’s table to save some money and because he wanted to be able to control what went into the food his family was eating. We’ve since experimented with this in our own home with some success and it really got me interested into turning this into a real business – it’s something we really enjoy. 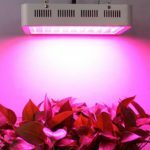 Finding the right lights for a grow operation is one of the most important parts of the process and an affordable option that is available is the LED Grow Light 300W by Lightmetunnel. 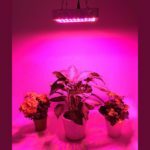 This isn’t the most powerful option on the market but it is affordable, and if you use a few of these in conjunction you can put together an effective growing light system. This light generally retails for under $250. While the manufacturer of this light advertises that it’s a full light spectrum option it actually only operates on 9 bands. That isn’t a complete spectrum, but it’s close. 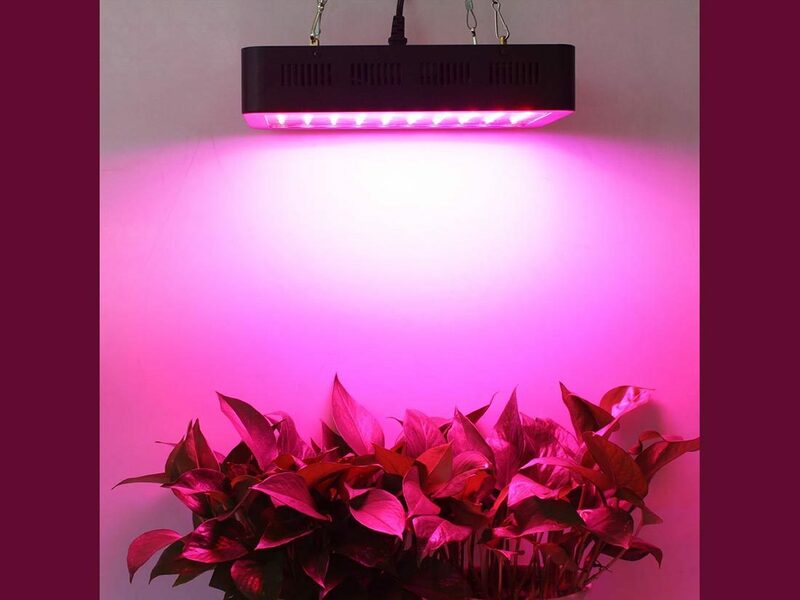 As any professional indoor grower is aware the blue lights are better for the vegetative stage of growth and the red lights are better during the blooming stage – you need to make sure you choose a lighting system that covers both of these factors at a minimum. 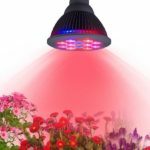 It’s also a good idea to look for a light that includes both infrared and ultraviolet light as well for healthy, disease-free plants and this Lightmetunnel 300W light has you covered in all of these areas. 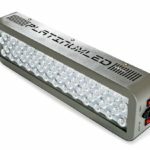 While this may not be the most powerful lighting system option on the market it does have some very real advantages over its competitors. 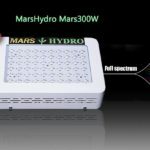 Perhaps most importantly is the fact that it uses a series of 3-watt diodes densely packed together to produce an evenly distributed light that should nicely cover any plant that’s directly under it. Believe it or not there are a lot of systems on the market that try to cut corners by dispersing the bulbs in their system to cover a larger area; while that may be true it doesn’t mean the light is evenly distributed over the plants, which can negatively affect their growth cycle. A feature that really caught my attention with this lighting system is the fact that it protects you if one or more bulbs fail. If you remember what Christmas lights were like a couple of decades ago you’ll likely remember a frustrated father as he pulled them out to string them up for the season. With those old lights, if one bulb went out the entire string went out and you had to go through them one by one trying to determine which one was the actual culprit. This Lightmetunnel system has built in Zener protection, which means that if one bulb goes out the rest keep right on working and you can easily identify the problem and replace it quickly. While all light systems will give off a bit of heat, LED lights operate at a much cooler temperature than traditional lighting systems. In order to make things even cooler this system actually comes equipped with dual fans to cool things down even more. It also has heat sinks for further efficiency in heat dissipation, and the heat conducting plate is made out of aluminum, which is known to be an effective material for controlling heat in lighting systems. 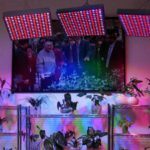 There’s no getting around the fact that we normally associate bulbs of any kind with a tendency to fail at the most inopportune times, so it’s hard to dispel this notion when it comes to indoor growing light systems. 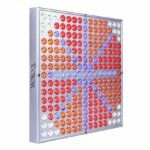 Fortunately, Lightmetunnel is a company that stands by their product and that’s why they also provide you with a 2-year warranty for their 300W system. There may not be any guarantee that the system won’t fail, but at least you can rest a little easier knowing you can get a replacement at no extra cost if you do run into problems. This lighting system measures 12.1 x 8.2 x 2.4 inches. It may not be the largest system on the market today, but it does provide a pretty decent coverage area for your plants. For the most part you can be confident it will effectively cover a 4 square foot area during the vegetative stage and a respectable 2.2 square feet during the blooming stage. That means you’ll only need about two or three of them to cover a decent size room. No product is perfect and the same is true of this LED light by Lightmetunnel. One particular problem with this light set is that the power cord supplied with it is a little bit too short at about 3 feet. When you consider that you’re likely to be hanging this from a ceiling or a growing tent it’s unlikely that 3 feet will be adequate to get you to a wall outlet, but that isn’t an impossible mountain to climb. The simple solution is to plug this unit into an extension cord, which may add a little bit to your expense but not a whole lot. The other concern I have with this light is perhaps a little more serious. A number of customers have complained that the actual output that the light produces is only about 150W – half the 300W that’s advertised. 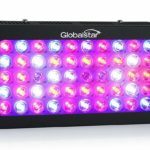 That’s certainly a little disappointing and will affect how effective the light system is in helping your plants to grow. While I would have been happier if this light consistently produced the wattage that it advertises, that isn’t a major stumbling block for me. Anyone with any experience with indoor grow lighting is probably aware that it’s not unusual for the actual output of the light to be less than what’s advertised. This light does a great job of dissipating heat and it also protects you from total failure if one little bulb goes out; I think these type of things are of much greater concern. Overall it’s a pretty good option if you’re just getting started out in the indoor growing industry.